Siddharth Mangharam met his wife of three years, Simran, at a party in Bangalore over a platter of Roquefort. “Most couldn’t stand its pungent flavour but there was one attractive woman who, like me, was really enjoying the sharp cheese," says Mangharam. “That got us talking for a whole hour about our shared passion for cheeses. This serendipitous interaction led to us ultimately getting married a year later." 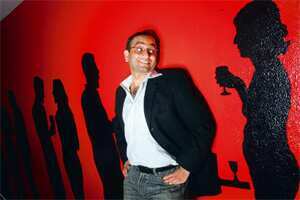 Mangharam, 37, is now in what he calls the “business of catalysing serendipity". A business management graduate whose first start-up, Peek, is into cloud computing, his second helps educated, urban singles connect with each other. Mangharam, CEO, Floh (Find Life Over Here), co-founded the singles network in May with Simran and two other partners to address the gap in premium dating and matrimonial services in India. 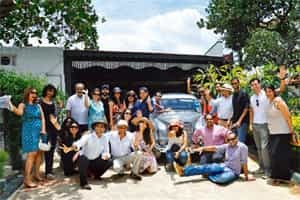 The model works like this: Members recommended by existing members enter the network (www.floh.in), and groups of 15-20 singles are “curated" for themed events such as vintage car rallies or wine tastings. Based in Bangalore—with plans to expand to other cities in India—the nine-month-old start-up has a revenue model based on subscription and event fees. Floh has a few hundred members in its network already, while more than 2,000 are on waitlist. Floh and other start-ups such as www.footloosenomore.com aspire to a similar, but more elaborate, model. Matrimonial sites continue to thrive in India—Shaadi.com and others like Jeevansathi.com and Bharat Matrimony have well over a million users (Shaadi.com had over 1.3 million users as of 2011)—and the online matrimonial industry in India is estimated to generate $63 million (around ₹ 308 crore) a year in revenue, according to EmPower Research, an integrated media and business research company. But the unprecedented success of Ignighter.com made it evident that the urban singleton had begun to frown on websites with the marriage agenda upfront. As Sunil Hiranandani, 30, a banker who co-founded the bespoke matchmaking service Sirfcoffee.com in 2008-09 with his sister Naina, a journalist based in Mumbai, explains, he wanted to take the shaadi out of Shaadi.com. Their website presently has 700 members, who Hiranandani describes as “global Indian professionals". When Hiranandani returned to Mumbai from a stint in London in 2008, he realized that his friends were doing either of two things: meeting prospective partners through their parents or casually hooking up with people they met in nightclubs. “These processes were both extreme. It was clear that there was this new segment of high-profile, time-crunched professionals that matrimonial websites weren’t catering to," he says. Sirfcoffee.com is against the “used car" approach of matrimonial websites, where caste, height, weight and complexion are the underlining actors. “I thought about what I wanted. I didn’t want to reach out to mass India or 64 kinds of Brahmins. I only wanted to reach out to one person; someone like me," says Hiranandani. The service makes this process simple—arranging dates over coffee, dinner or drinks with matches “hand-picked" by the website’s moderators. Membership involves filling out a questionnaire and a personal interview. If no one on the network matches your criteria, Hiranandani says they’ll go as far as to “headhunt" a perfect match. Hiranandani, who splits his time between New York and Mumbai, describes himself as the site’s model client. He met his London-based wife through Sirfcoffee.com in 2009—when he conducted her personal interview. Sirfcoffee.com’s clients are largely from Mumbai but they’re spread across 19 countries, including the US, UK, UAE, Spain, Thailand, Indonesia, Singapore, Hong Kong, China and the Philippines. Naina manages the India operations and they have field offices in London and New York. The exclusivity is clear at the outset. When you log on to the website, you cannot “join", you have to “apply", with the bottom line being a college education, a job and a “long-term view" of your next relationship. Aware of the risks associated with such a venture, Mangharam and his team also thoroughly screen those who apply for membership. They talk to singles who approach them before making them Floh members. Floh members at a vintage car rally. Subscription fees are another screening factor. Floh’s subscription package starts at ₹ 1,000 per month (if you buy a 12-month subscription). Members, in turn, get to attend over 50 unique events a year. Likewise, Sirfcoffee.com charges ₹ 15,000 (or $300) annually for an “unlimited" number of dates. “You have to be realistic. If you’re 40 and divorced, and looking for Aishwarya Rai you might get one date in two years," says Hiranandani, adding that they set up around 25-30 dates across the globe every month. Discretion is the other keyword. No one is aware of your membership except you. Marriage, though clearly a long-term goal, isn’t mentioned anywhere on Sirfcoffee.com. Both Floh and Sirfcoffee.com are pegged to the idea of simulating a real date scenario. Sirfcoffee.com, for instance, doesn’t provide onward contact details once the first date has been set up. In Floh, Mangharam points out a unique feature called Floh Living Room, in which, after attending one of the themed events, members can log into their accounts and register a discreet request to meet a particular member one-on-one. “Our server only connects the two if they’ve both picked each other," says Mangharam. You can exchange numbers if you like, date for years, marry next week or simply leave after a casual drink. But if you cease to be single, you have to leave the network. 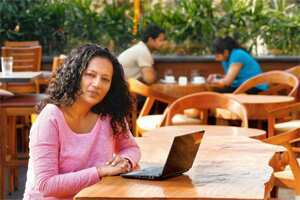 Sharma, 36, with over 12 years’ experience in advertising, founded the singles’ relationship portal for those who believe that “shared ideologies, tastes, interests and passions connect people and build relationships and not caste, creed, religion, body type and skin colour". Vir Dasmahapatra, 29, a leadership consultant who moved to Bangalore from Mumbai in January 2011, and joined Floh a month ago, reiterates this. He wanted to meet people “at the level of interests and values". It was his mother who learnt about Floh through a local magazine and told him about it, an indication that de rigueur matrimonial specifics weren’t important to him or his family. “We’ve had an unpleasant experience with matrimonial websites in the past... for someone else in my family," he explains. “People have strong preferences these days, which is why meeting someone at an event which appeals to both of us makes it that much simpler to find someone like-minded," says Dasmahapatra. He has already attended three consecutive weekend events since he joined—a green heritage walk, a theatre workshop and a culture quiz—because they were well adjusted to his broader interests. Ditto uses a device called the Ditto Cloud, which allows people to showcase their preferences (from movies, books, travel, cuisine and music to political ideologies and spiritual beliefs). The data from this cloud feeds into an algorithm that throws up the profiles of other people who connect with you over a multitude of interests. Sharma, who met her husband six years ago on a dating website, says this was a throwback to when she was creating her own profile all those years ago. “I was frustrated with the restrictive drop-down menus. I was more than the sum of ‘female’, ‘advertising’ and ‘curly hair’," she says. Sharma plans to start offline interest-based events once the website gathers a critical mass. The revenue model—subscriptions and fees—is still being worked out. The new catchline in the business of love, then, is to build a space to discover a partner in a relaxed manner without the “happily ever after" sword looming large. “Come to Ditto to find that compatible soul and then, do leave Ditto to see if the love and chemistry follow," writes Sharma in her sales pitch. The idea is to walk off the websites and group events and happily into the sunset. And no one would object to a background score of wedding bells.